AllowedValueList="600 600 1200 1200 1200 600 1400 1400 1440 1440 200 200 2400 1200 300 300 300 600 400 200 400 400 600 1200 600 2400 600 300 720 1440 720 720"
Check out Using the XPath Extractor in JMeter article for more information on the specifics of using XPath query language in JMeter tests. How do I save JMeter variables created at runtime? How to validate response assertion with XML elements? 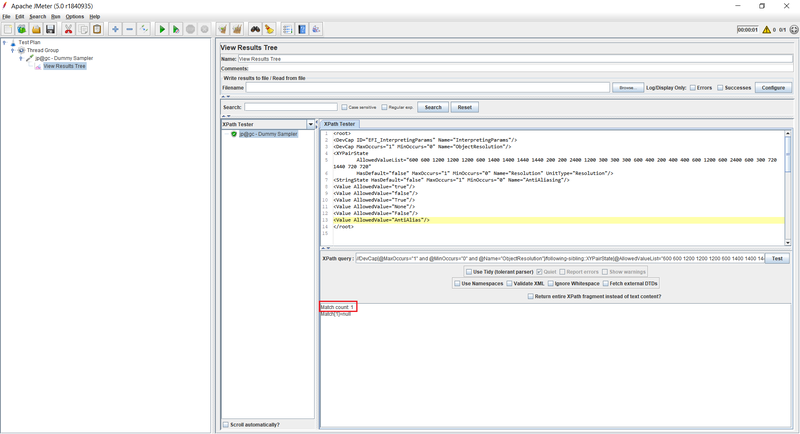 How to use xpath referance name in JDBC Request SQL Query?